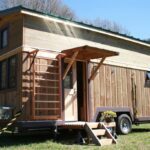 From Aneides Tiny Homes is this craftsman style tiny house named Blue Ridge. 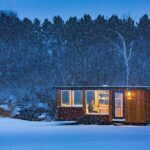 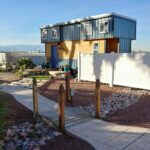 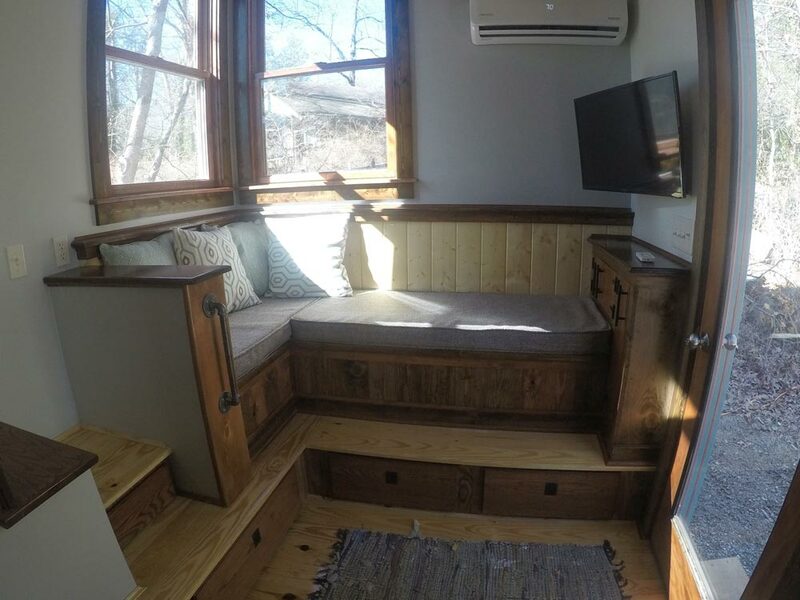 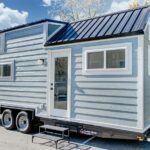 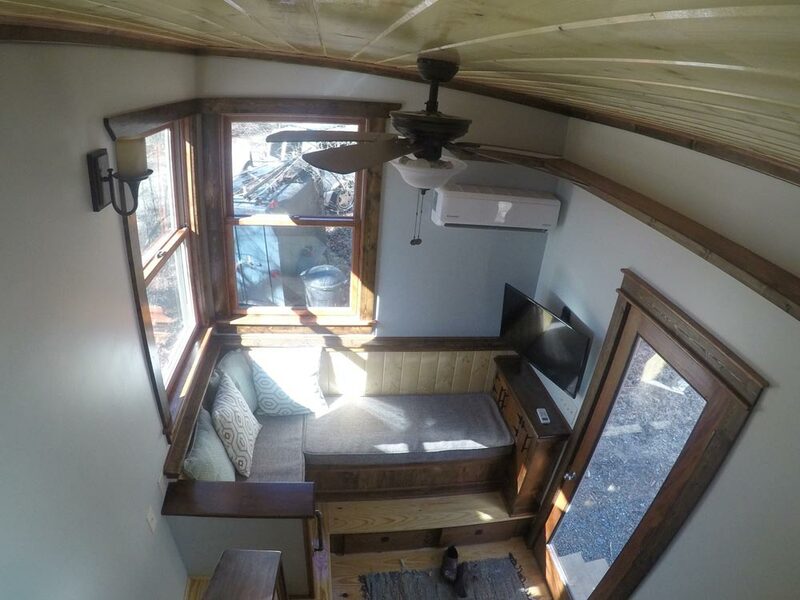 The 18-foot tiny house is 168-square-feet and features a raised couch with storage, a sunken queen bedroom loft for extra headroom, and several built-in storage areas. 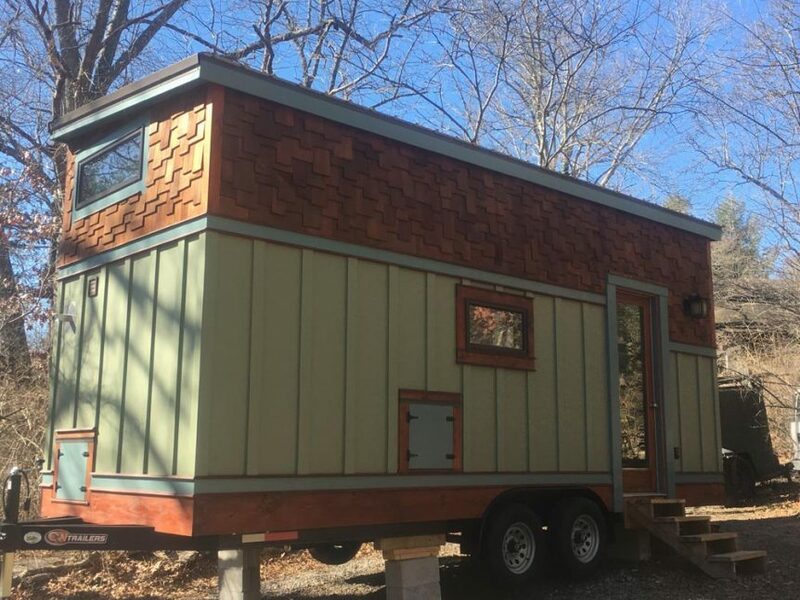 The exterior is wrapped in green board and batten siding with cedar shake shingles around the top. 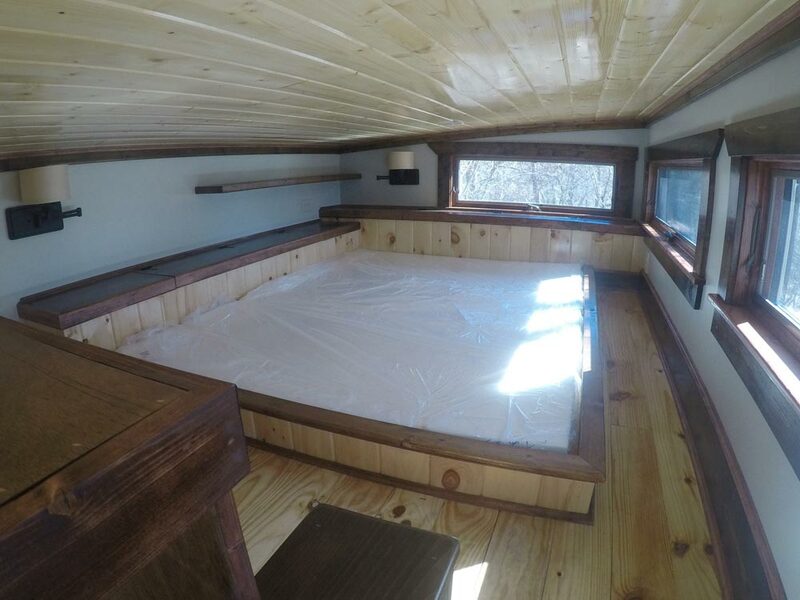 The shed roof allows room for several large upper windows. 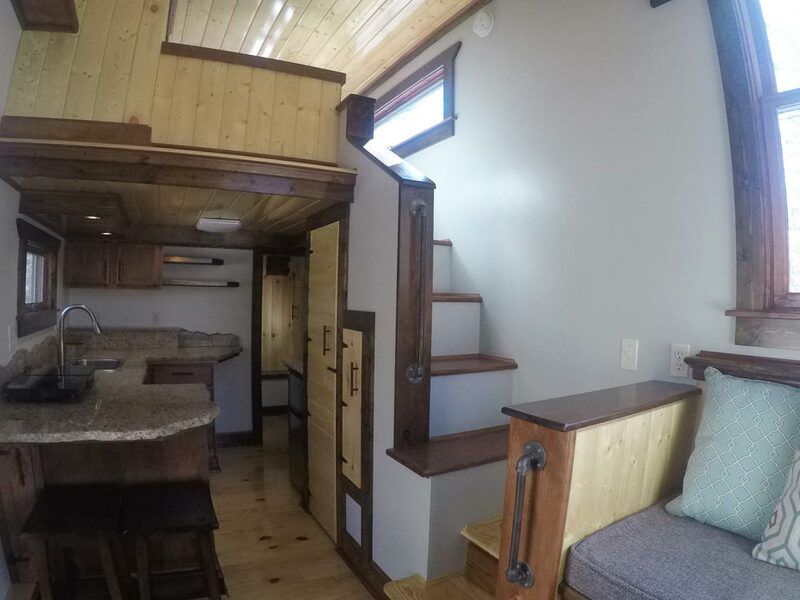 Inside the Blue Ridge, Aneides used light wood tones and wall colors to brighten the space. 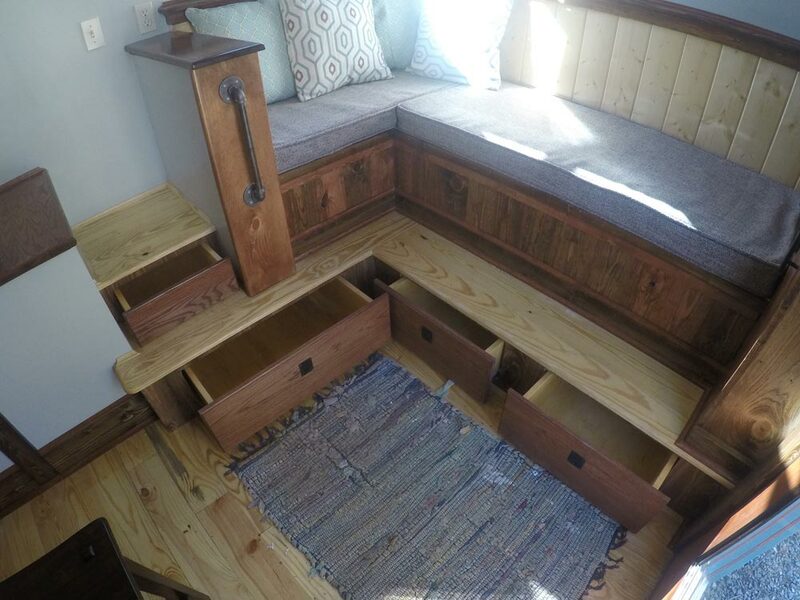 The storage spaces include large pullout drawers under the couch, cabinet space in the kitchen, a closet under the loft stairs, and four large trap doors under the queen bed. 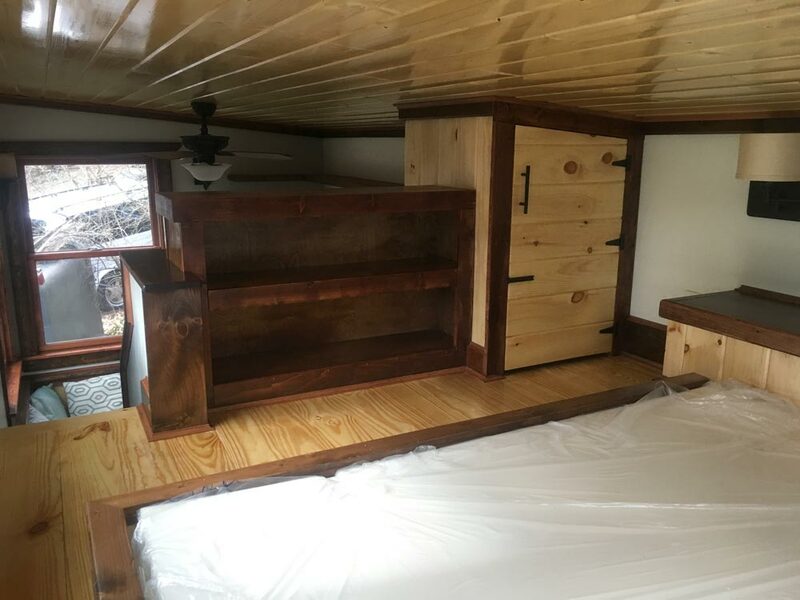 The loft also has built-in storage on both sides of the bed, a closet for hanging clothes, and an open bookcase. 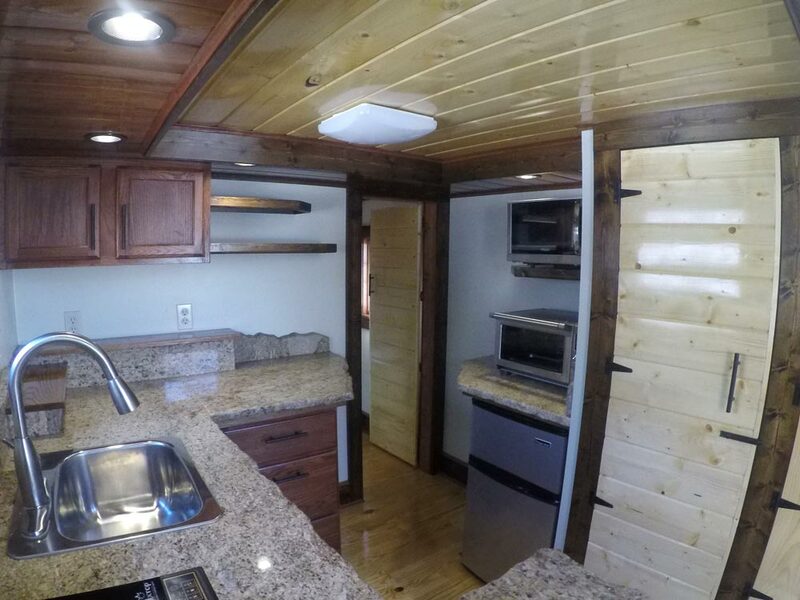 The kitchen includes granite counters, two induction burners, an under-counter refrigerator/freezer, and a Breville smart convection oven. 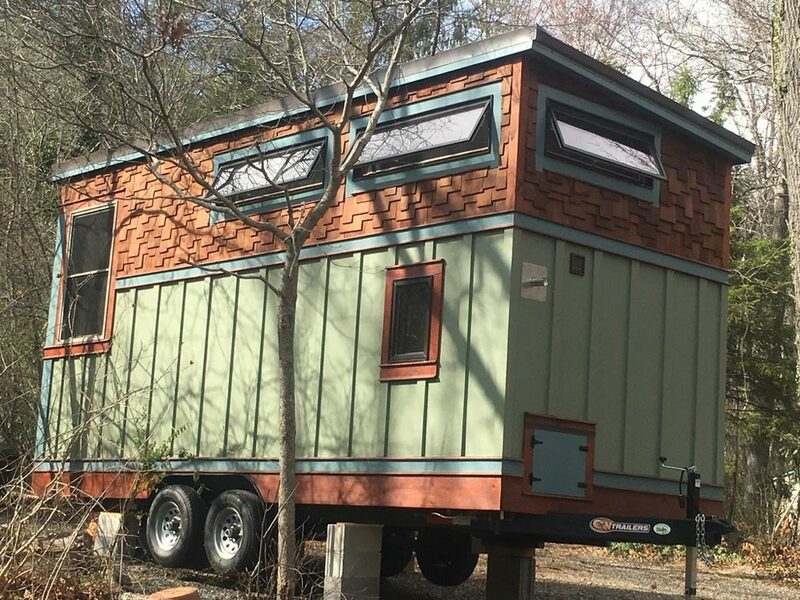 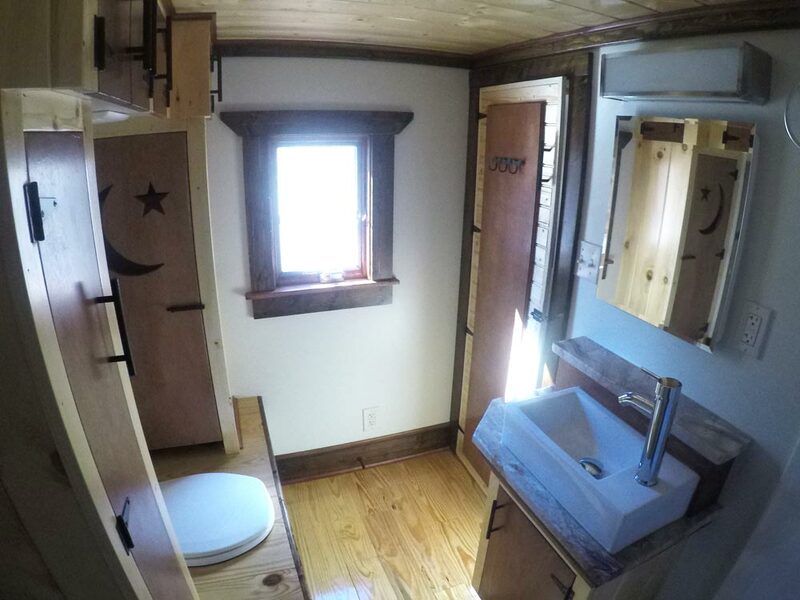 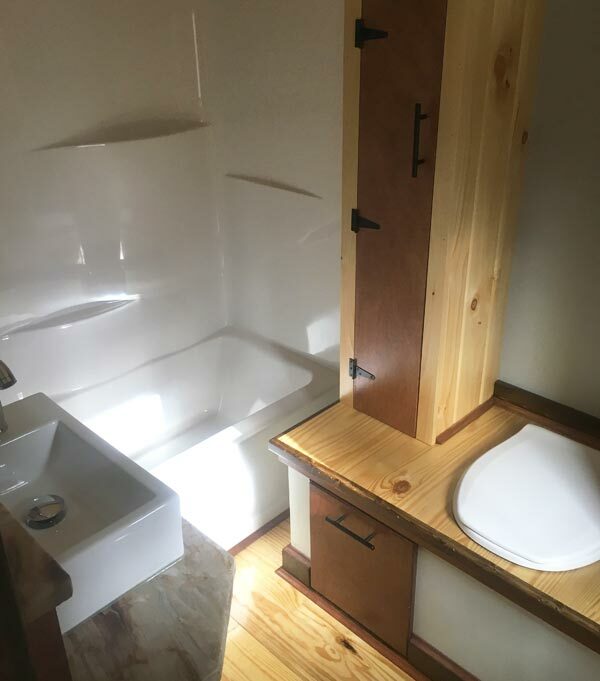 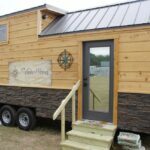 Aneides Tiny Homes is located in Asheville, North Carolina. 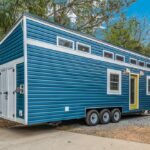 The Blue Ridge is listed for $55,000.